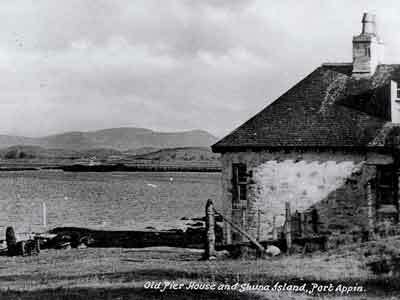 The Pierhouse began life as the residence of the Pier Master at Port Appin in the 19th Century. 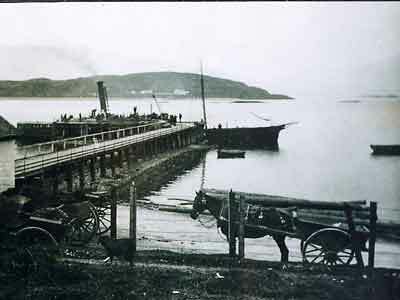 The pier was built to service the steam vessels travelling up and down Loch Linnhe, stopping off en route between Oban and Fort William with passengers and cargo. This august official was responsible for overseeing the cargo and passenger traffic waiting to board. The cargo would be loaded on to trolleys under the covered area between the two original buildings and rolled on to the pier for loading. 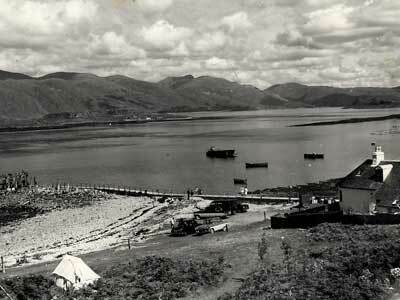 The history of the Pierhouse stretches back to the 19th century, when it began life as the residence of the Pier Master at Port Appin, where a pier was built to service the numerous steam vessels that travelled up and down Loch Linnhe, stopping off en route between Oban and Fort William. This august official was responsible for overseeing the cargo and passenger traffic waiting to board. 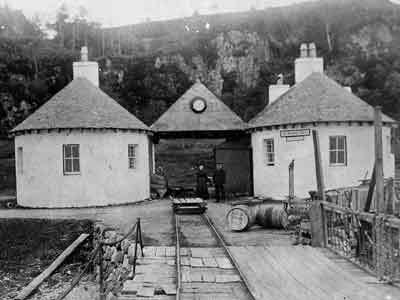 The cargo would be loaded on to trolleys under the covered area between the two original buildings and rolled on to the pier for loading. 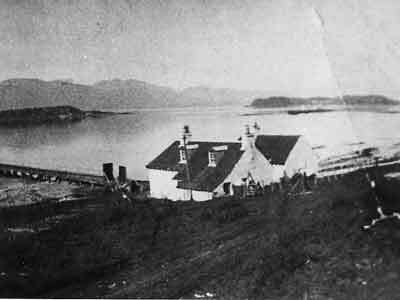 As the road and railway infrastructure became more efficient in the West Highlands, the steamboat trade all but disappeared and the Pierhouse was sold and became a private house. 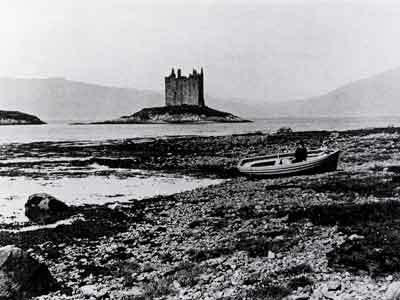 The Lismore ferry continued throughout to service the island of Lismore and Port Appin communities, initially as a rowing boat service but later as a motorised boat. The Lismore ferry is still in operation as a passenger service and runs a regular passage to the island of Lismore, a journey that takes just 5 minutes.  This historic property was only granted a liquor license some 20 years ago and now hosts a lively, comfortable bar which boasts a spectacular panoramic outlook over the shore and inner Hebridean islands. The Pierhouse Hotel proper came into being when the purpose built hotel wing was added in 1992, enhancing the already growing reputation for warm highland hospitality, and the demand for fresh seafood led to the restaurant extension in 1997. In 2010 the interior was further reworked to create the Lismore dining room and meet the growing demand for the award winning dining experience at The Pierhouse. 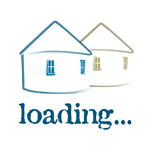 Read more about the hotel today. 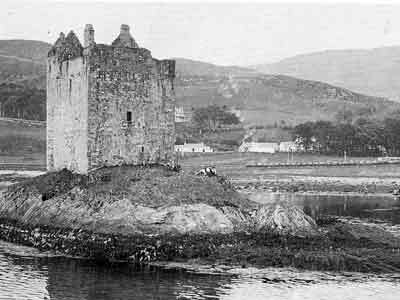 Enjoy our gallery of historical pictures showing The Pierhouse and the Port Appin area in times (long!) gone by; just click on each picture to see a larger version. 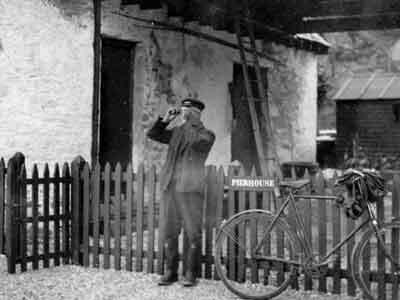 Many thanks to Appin Historical Society for the images. 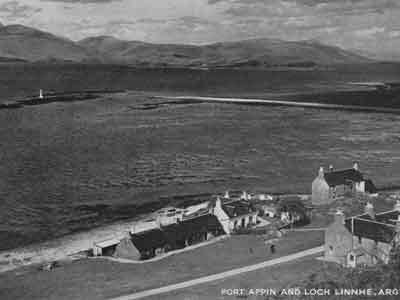 You can also read more about Appin of Yesteryear here. 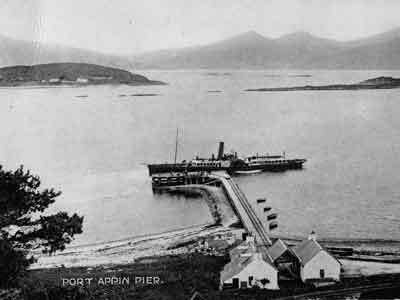 Enjoy our gallery of historical pictures showing The Pierhouse and the Port Appin area in times (long!) gone by; just click on each picture to see a larger version.